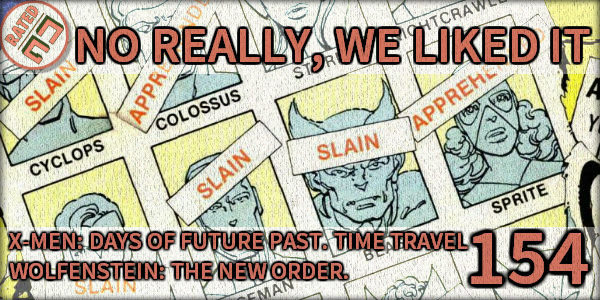 We discuss our love hate relationship with X-Men: Days of Future Past in a spoilerful discussion (34:15 – 1:08:45). Also Matt and Ash check out Wolfenstein: The New Order, and Scott finally finishes South Park: The Stick of Truth. Also news from Awesomenauts, Squids, The Bridge, and Harmonix. Finally, we talk about your thoughts on time travel in movies in our NAQOTW. KittyPryde.